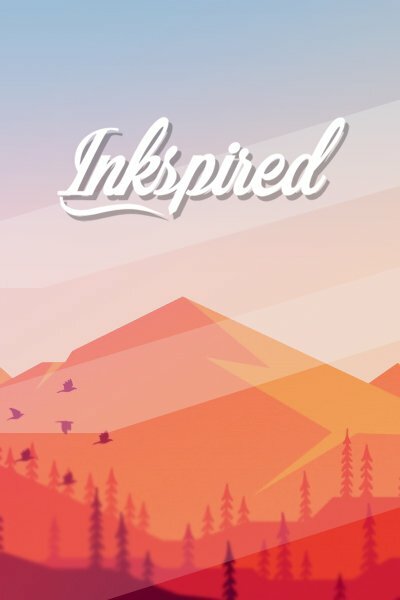 Inkspired is the sole collector of your data at the moment you sign-up in our service and generate data through use. Third-party services such as Google Analytics, however, may track your activity during your use of it to help us track overall website's performance. Although, all the information accessed by third-parties is always anonymous. We never share personal information with anyone. What personal information or data is being collected when you visit our website or apps? When signing up for our service you may be asked to enter your full name, email address, country, city, and other details. When using our service, we correlate information you generate from all the stories/communities you usually access and the categories/genres you like to read and write. We collect this information and store it in our database, along with your IP address, in order to provide a better user experience for reading and writing according to your current location. We collect information from you when you register on our site and/or apps, enter information on our site and/or apps, make a purchase, or navigate through our site and/or apps. • To personalize your user's experience and to allow us to deliver the type of content and product offerings in which you are most interested. This information will be stored in our database, as long as the user remains an Inkspired user. We may share demographic and interest data with third parties like publishers or advertisers. We do this in order to be able to match writers with more career opportunities for publishing their stories and to deliver appealing advertising to our users. We do not sell, trade, or otherwise transfer to outside parties your personally identifiable information such as your name, last name, picture, or e-mail address. The only information we share is the one generated by your use of our website that will help us tailor the user experience, excluding at all times real names or personal information that you have trusted us with. • Help remember your user session. You can choose to have your computer warn you each time a cookie is being sent, or you can choose to turn off all cookies. You do this through your browser (like Google Chrome, Mozilla Firefox, or Internet Explorer) settings. Each browser is a little different, so look at your browser's Help menu to learn the correct way to modify your cookies. If you disable cookies, some features in our website will be disabled. This will turn off the ability to remember your user session and every time you open the website, you will need to log in with your account times. Also, some of the features that make your site experience more efficient and some of our services will not function properly. However, if you prefer doing so, this is something you can totally do at all times just by accessing your browser's settings. You have the right to correct and update all your information at all times. You have the right to stop all communications, notifications, e-mails, and marketing campaigns from Inkspired by accessing your Settings, and edit your notification's preferences. Under the same note, you have also have the right to specifically request to not be taken into consideration when processing your user-generated information, and to stop any information to be shared with our third-party partners. Doing this, however, will affect your user experience and the quality of service we are providing you, but you can definitely opt-out at all times. How can the data subject raise a complaint or make specific data requests? You can e-mail us at all times at info@getinkspired.com under the subject "Privacy request", and you will get a response within 72 hours. © Inkspired. All Rights Reserved.